I'm headed to Good Morning, Texas today some hostess gift ideas for the holidays. I'll post the link later to facebook, but in the meantime....here are the how to's...some links to free printables, and grammatically incorrect sentences to house all the info. Mix 12 oz of fresh cranberries (chopped in a food processor to smaller chunks), 1 c. roughly chopped cilantro, juice from two limes, 3 green onions (chopped), 1 c. sugar, 2 cloves of (chopped) garlic, 2 jalapenos (take out the seeds if you don't like it too hot). Mix and serve with tortilla chips. Chill and let it sit for a few hours/overnight to really let the flavors marinate. It's also great over a block of cream cheese with crackers. Makes about 3 cups of salsa. 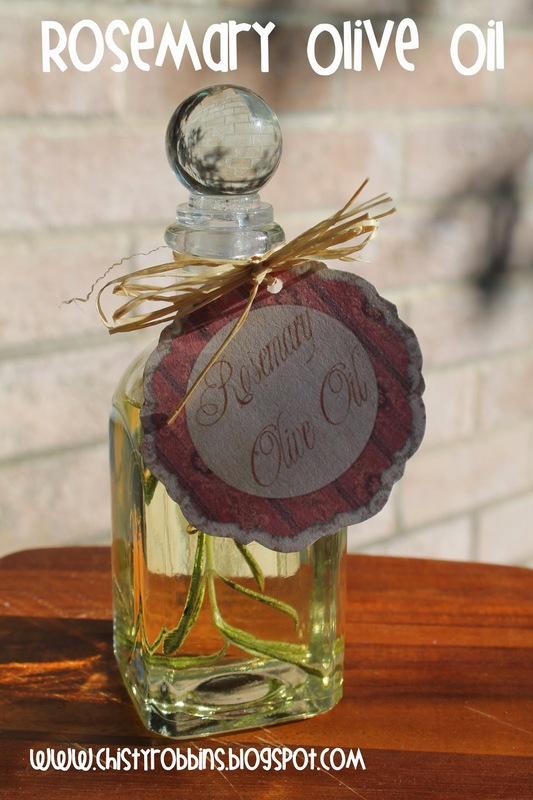 Another easy gift idea is flavored olive oils. ALL you have to do is buy some regular olive oil and add herbs. The key is to make sure your herbs are completely dry. I bought some rosemary and let it sit out for a few days. I then funneled some olive oil in a jar (1.50 from Hobby Lobby) and slipped in the dried rosemary. The key is that you don't want fresh/wet herbs or your oil will need to be refrigerated and discarded within weeks. It can spoil with fresh herbs. The longer your herbs 'live' in the jar, the stronger the oils are. If you added lemon peels or garlic you might want to pull them out after a few weeks. Rosemary is my personal favorite. I use it to toss potatoes/chicken/bread etc. 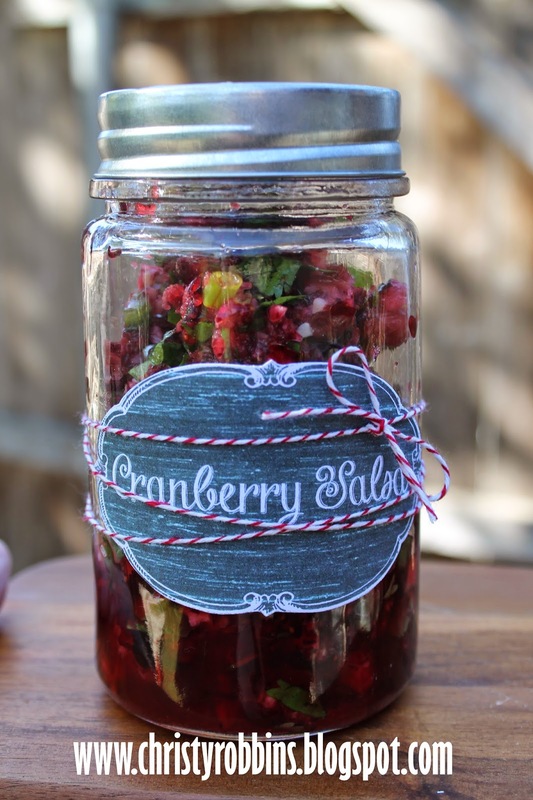 This would be a cute 'set' to give as well-experiment with several flavors. 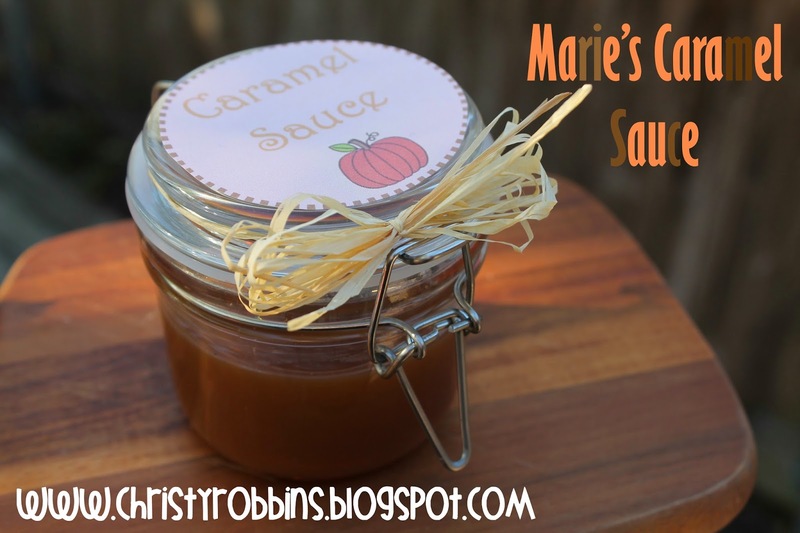 I learned this trick for making caramel a few years ago from a friend named Marie. She taught me that you can take a can of sweetened condensed milk (about 1.20) and put it in a pan (leave the can completed closed up, it will cook in the can) and boil it for 3 hours. I just check it every 30 minutes or so and add more water. After three hours. Pull the can out and place it in the fridge for 4 hours. You can add nuts and then serve it with apples....or just a spoon. It's magic...and much cheaper than the 3+ dollar bag of caramels and 3+ mini carton of heavy cream. Here's link to the tag for this as well. This would be cute to give with a basket of apples. Last up, wine. 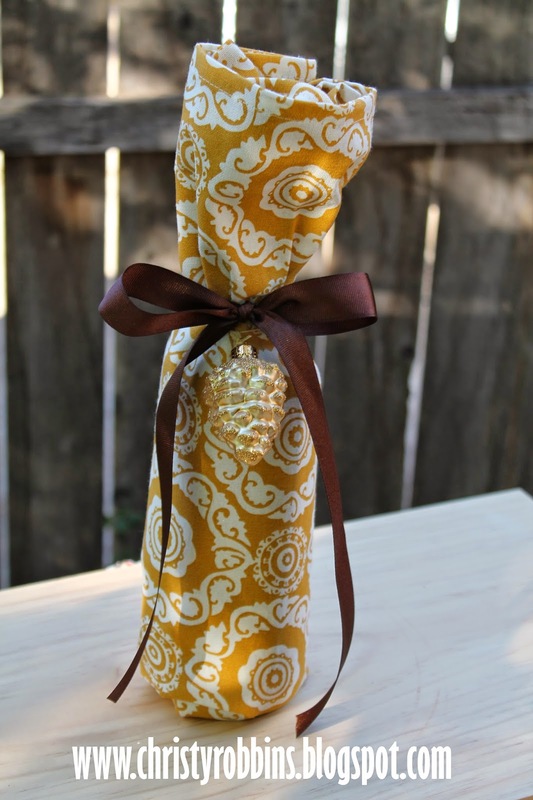 A little different idea for delivering the wine-find a seasonal tea towel and wrap it around the bottled. Add a ribbon, I used a few pins to hold it closed in the back, but....little waste in this gift-it's a two part gift-tea towel and wine....you've covered a future holiday as well with this gift! !